Colin George Price Cuthbert was born in Brecknock, Wales in 1918. He was the youngest of two children of James Cuthbert and Edith Jane (née Davies). His parents were both school teachers and the family moved to Chinnor from where Colin attended Lord Williams’s Grammar School in Thame from 1929 to 1936. He was awarded a closed exhibition (financial grant) to attend St Catherine’s College in Oxford. Early in 1942 Colin married Dorothy Knowlson in Chinnor, Oxfordshire. His daughter Angela, who he never saw, was born in 1943. By the end of 1942 his Battalion, the 51st Leeds Rifles, was fully trained and equipped with Churchill Mark IV tanks. 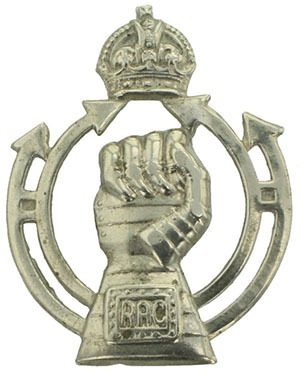 The 51st Leeds Rifles was a long- standing Territorial Army unit which had converted to an armoured role in 1939. They embarked in January 1943 with the 25th Army Tank Brigade for North Africa. In May 1943 the Battalion was engaged in the Medjez sector in the final ground attack against the German forces in Tunisia. Colin, age 25, and by then a Captain, was killed on 7th May, near Bou Arada, the day the British Army entered Tunis and six days before the final German surrender in North Africa. He was initially buried in Bou Arada Military Cemetery before his body was reinterred in July 1944. 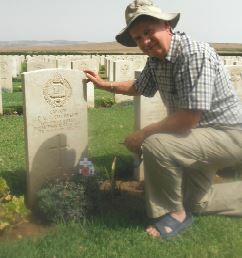 145462 Captain Colin George Price Cuthbert, Royal Tank Regiment, is buried in Medjez-el-Bab Cemetery, Tunisia. He is remembered in Thame on Lord Williams’s School Memorial Board. He is also commemorated on the War Memorial in Chinnor and St Catherine’s College Memorial Board in St Cross Church, Oxford.